The subsidiary of Karadeniz Holding, Karpowership, is going to present their project “Power of Friendship for Ghana” at the African Energy Forum. The 17th edition of the event starts on Monday in Dubai and will run to June 11. According to Karpowership, it is the world's first company to develop, own and operate Powerships - ship mounted floating power plants, which deliver the most reliable power supply solution while keeping costs at optimum. 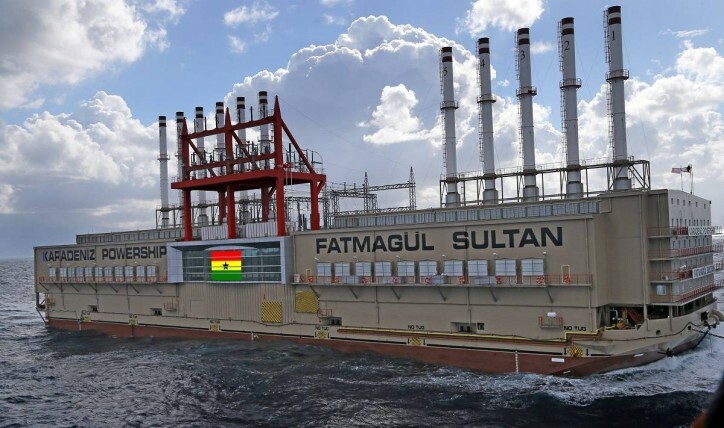 Ghana's Powership project will generate approximately 22 % of the country's elictricity, according to the contract. Two Powerships, 225MW each, will serve the project for 10 years. So far the project is ahead of schedule. The Powerships project is the largest ever foreign direct investment in Ghana by a Turkish company.